The 2017 Atlantic Biorefinery Conference wrapped up recently on Friday, June 9th, after a very busy and successful 3 days. 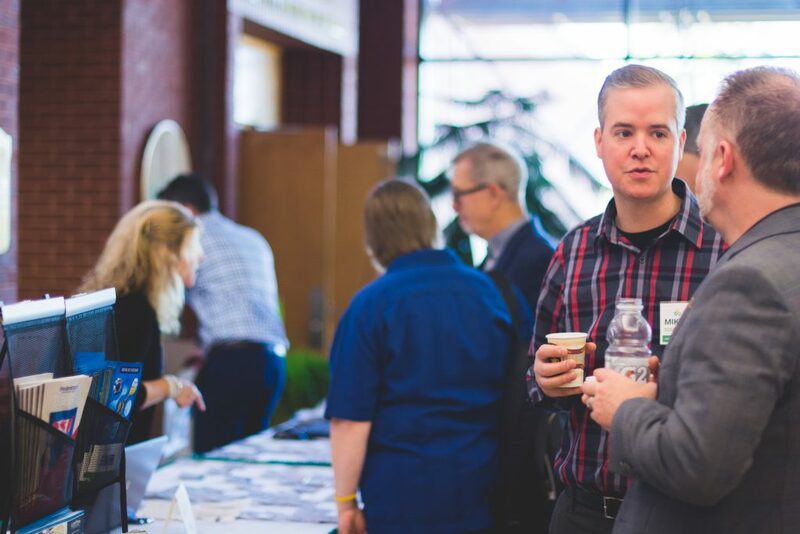 Researchers, engineers, entrepreneurs, and funders descended on Fredericton, New Brunswick to learn about the latest tech and policies around biofuels, bioenergy, bioproducts, and biorefining. Not only was BIOCON17 the best attended BIOCON ever, it was also the most social: energy was high and guests set aside time for productive B2B meetings. This means a lot to us as organizers, because it means more collaborations, more new projects, and more sharing of ideas. This is important for a growing sector like biorefining, and we’re honoured that so many professionals use BIOCON as a means to make connections. 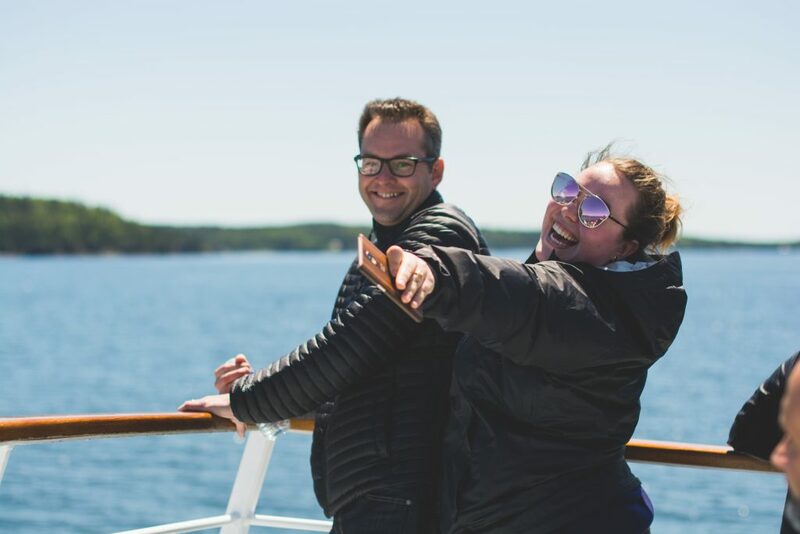 Pictured: Ryan Reid (BioNB) and Katie Kushner (Springboard) getting an ocean view of Cooke Aquaculture’s salmon site. The first day of BIOCON kicked off with the Technology Tours. 2 tour buses, 5 stops, and 90 people experienced a full day showcase of New Brunswick-based biorefining companies and research centers. 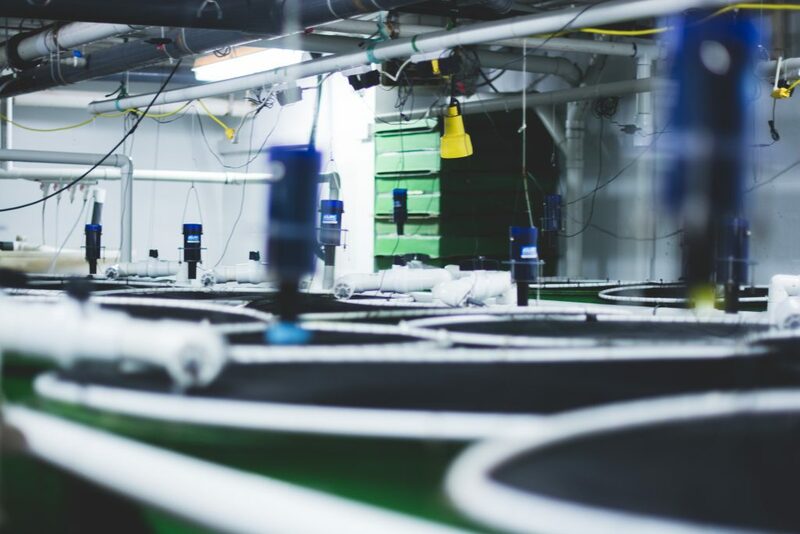 We could TALK about biotechnology all day, but what better way to drive the point home than smelling the earthy soil at Envirem Organics or feeling the salty sea air at Cooke Aquaculture’s salmon site? Pictured: Mike Doucette (CCNB) at Envirem Organics. 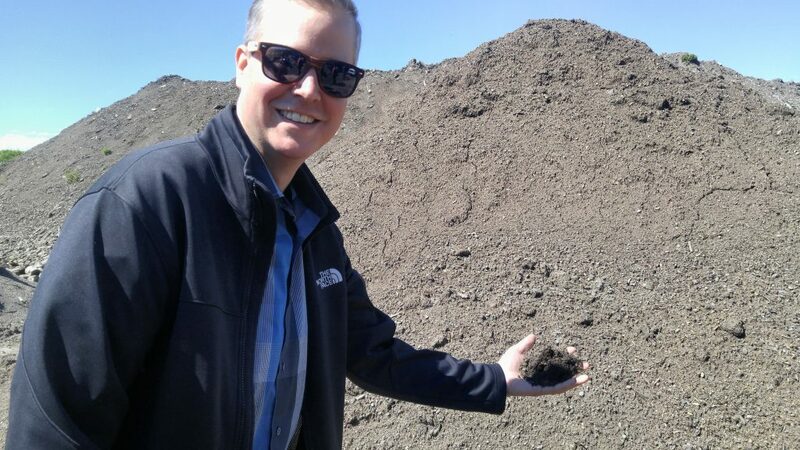 Envirem makes nutrient-rich soils and fertilizers from recycled material. 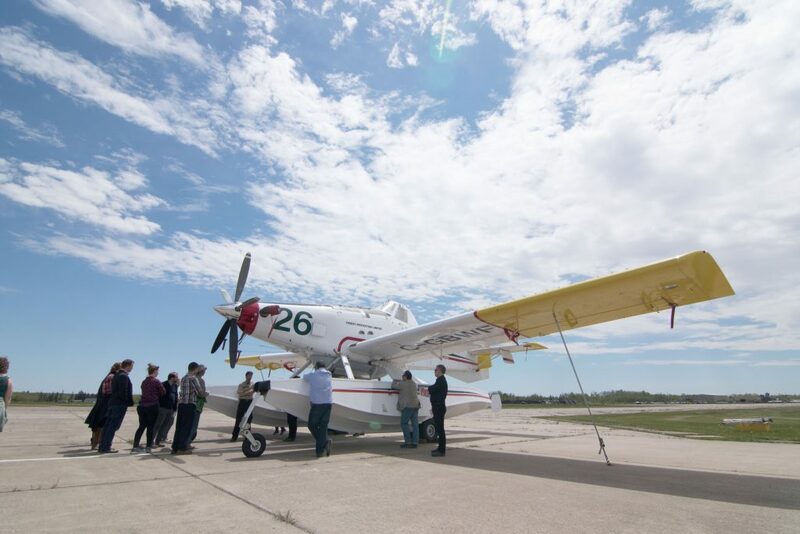 Pictured: Forest Protection Limited uses aircraft like this one to fight fires and pests. Pictured: Jussi Manninen, VVT Technical Research Centre in Finland, addressing BIOCON audience. For the first time, BIOCON17 included a keynote that was open to the public. Jussi Manninen helped write Finland’s Bioeconomy Strategy, an ambitious plan for their economic development that could serve as an excellent model for Atlantic Canada. 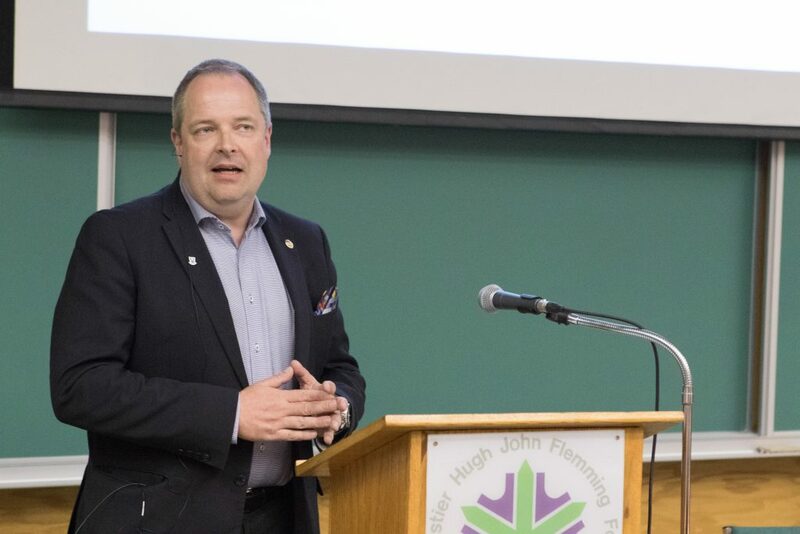 “We’re Not So Different, You & I: Comparing Bioeconomies in Finland and Canada” was delivered to a packed audience at the Hugh John Flemming Forestry Centre. Policy-makers and natural resource stakeholders learned what Finland is doing to add value to their forestry resources, and what steps Canada needs to take in order to mobilize governments, businesses, and the public around a shared vision. The days of clear-cutting and selling raw material are over. Canada can manage its forests sustainably, while creating and exporting a variety of higher value products like pulp, fiber material, energy, and biochemicals. We hope this presentation will represent a step toward a comprehensive bioeconomy strategy in New Brunswick, and Canada as a whole. Click here to view Jussi’s presentation slides. Jussi’s message was a great way to tie together all of the biorefining innovations that were showcased at BIOCON. A biorefining business cluster needs access to biomass and a supportive political and business environment in order to flourish. Atlantic Canada is home to ambitious researchers and business professionals who are developing technologies for the bioeconomy future. The Government of Canada is putting the pieces in place to support these innovators. Canada’s Clean Growth Framework and the Atlantic Growth Strategy have identified innovation, clean growth, and solutions for a low-carbon economy as priorities for economic development. If you are an entrepreneur, civil servant, researcher, student, or a curious New Brunswicker looking to learn more about the bioeconomy, clean growth, or biorefining, BioNB wants to hear from you!